Okta Secure Web Authentication Plug-in is a convenient browser extension that is designed with the end user in mind while empowering admins with the best in class single sign-on security. 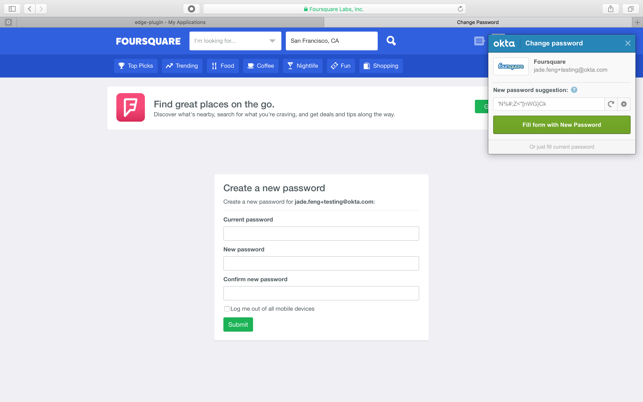 The Okta Plug-in is a simple, easy to use extension that equips the user with a mini dashboard to access all their Okta applications quickly with a single click, freeing the user from having to remember all those passwords. This version includes miscellaneous enhancements and bug fixes. What is this app doing? 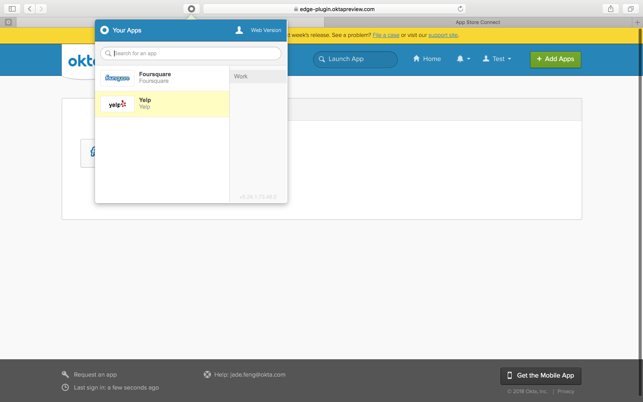 My company uses Okta for single sign on, which is fine. But in order to use the app portal, it basically forces you to use this plug in. What exactly does the plug in do? in addition to its apparent end user functionality, what else is it doing? does it log web data? are employers using it to snoop into employee browsing activity? is it sucking data and sending it anywhere? many people work at home, some people live in europe, it seems like an extension like this could run afoul of privacy concerns pretty quickly. it would be nice to have a statement from Okta on this. 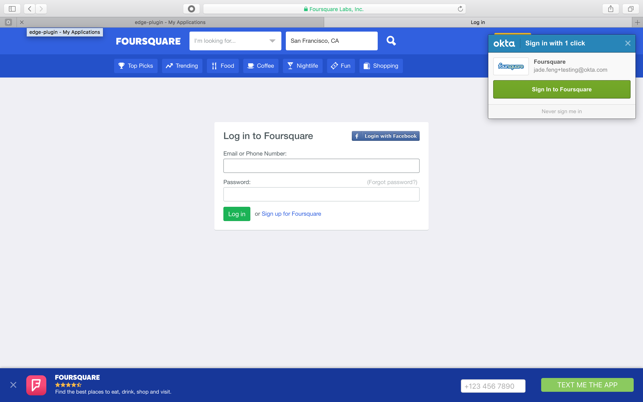 Hi Mdhj, The Okta Extension App is required by Apple to install the browser plugin that allows you to securely login to applications that don’t support SAML using Single Sign-On. Essentially, the plugin allows for credentials for certain websites to be securely passed from the Okta cloud directly to the web sign-in page, without the need to store those logins on your computer. This also allows for instances where your IT may have pre-defined (shared) website credentials that they may like you to use for specific sites. It also allows you to secure your sign-in information from websites you frequently visit on to the Okta cloud, if your IT has enabled feature. The message to install the plugin will only be displayed if you have been assigned applications that require the plugin to securely sign you in. This extension does not allow employers to monitor your browsing activity, log your website data, or snoop on you. The purpose of the App is simply to install the plugin in Safari that allows you to be authenticated to certain types of websites. For more detailed information about this plugin, please visit: https://help.okta.com/en/prod/Content/Topics/Apps/Apps_Browser_Plugin.htm. Hey Okta, thanks for keeping up the great work. :) This icon isn't retina as was the old icon from web DL. Easy fix for that? Update: Okta responded, which is sweet - and let me know they would fix icon in safari back to retina. The app allows me to quickly navigate to the application I want to use, including a search function. It makes a seemless approach to secure access to the applications I need to get my job and personal electronic life done.